From the new Aston Martin and Red Bull Racing hypercar to Rolls-Royce’s driverless Vision Next 100, the car industry is currently full of high-tech concepts perfect for the modern superyacht owner. But what should you buy if you want something to drive right now? Click through to see the latest and greatest supercar releases just waiting to be let loose on the world’s best coastal roads. One of the hottest new launches at the Geneva Motor Show 2019, the new Lamborghini Aventador SVJ Roadster represents the ultimate - and most exclusive - convertible you're likely to see harbour-side this summer. Created in a limited run of just 800, the Aventador SVJ Roadster comes with some seriously impressive stats - including 0-62mph in 2.9 seconds, a top speed of 217mph and 759bhp. This is the result of the car's aero-vectoring wings, a powerful 6.5 litre V12 engine and a lightweight carbon fibre body (which is available in no less than 350 colours). It may cost £380,000 but we suggest you get your name on the waiting list now. Have your cake and eat it with the Pininfarina Battista - a full electric hypercar that promises all the speed and power with none of the gas guzzling guilt. The first car from Pininfarina - the legendary design house which has penned vehicles for the likes of Alfa Romeo and Lancia - also happens to be the most powerful road-legal car in Italy's history thanks to a 120kWh battery that delivers a stonking 1,900bhp and an acceleration to 62mph in less than two seconds. Of course, with the Pininfarina name attached the Battista was never going to be anything less than utterly gorgeous with the design team intentionally eschewing futuristic lines for soft curves inspired by the supercars of the 1960s. First deliveries are expected in 2020 with the run strictly limited to 150 models. While no price has yet been announced, if the Battista can't convince you to go electric nothing will. 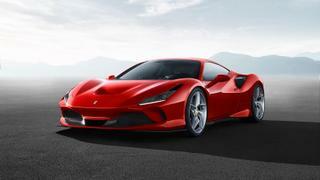 Another Geneva Motor Show 2019 debut, the Ferrari F8 Tributo has been introduced to replace the 488 GTB and is the most powerful mid-engined V8 supercar ever produced by the marque. 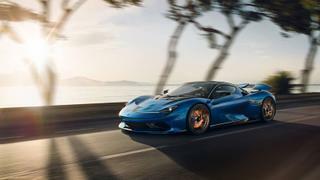 But, as well as offering show-stopping figures such as 710bhp and a top speed of 211mph, the newest Ferrari is also rather spectacular to look at. This, the brand explains, is thanks to the F8 Tributo being the first model to showcase a new styling direction which puts emphasis on Ferrari's mastery of aerodynamics and speed. Whatever the rationale, there's no denying the Tributo is a good-looking vehicle with impressive performance so it may come as no surprise that she is strictly POA. If you’re a speed freak who loves getting out on the track as well as looking great on the road then the McLaren 720S Spider is the supercar for you. 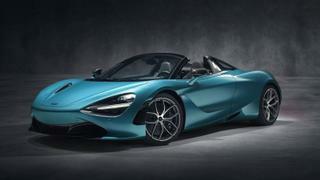 Based on the popular 720S Coupé which debuted in 2017, this carbon-fibre car is described by McLaren as its 'most accomplished convertible' to date and can reach 62mph in 2.9 seconds with a top speed of 212mph. The true USP, however, is its brand new carbon-fibre roof system which takes just 11 seconds to lower. Available in Belize Blue and Aztec Gold, first deliveries are expected in spring 2019 with the 720S Spider available to order now for £237,000. 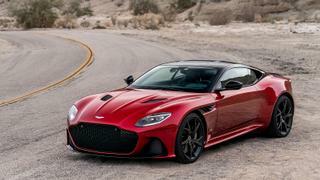 If you have a need for speed then you'll be pleased to hear that Aston Martin's new flagship Super GT more than delivers. Acceleration powered by a 5.2 litre twin-turbo V12 engine is an astonishing 0-62mph in 3.4 seconds - aided in part by the full-carbon construction which makes it 72kg lighter than its sister DB11 V12 - with a top speed maxing out at 211mph. Avid Aston fans will also be pleased to see the return of the DBS nameplate, last seen in James Bond film Casino Royale, which has been combined with Touring's famous Superleggera mark in homage to the construction technology pioneered by the Italian coachbuilder. And, if you needed any more convincing, it looks pretty great too. Prices for the main line start at £225,000 while those with a penchant for fine watches may opt instead for the 50-strong limited edition Tag Heuer Superleggera. Each car comes with a DBS Edition Carrera Heuer 02 watch which is designed with a black calf leather strap and red stitching to match the car's interior - yours for £295,000. 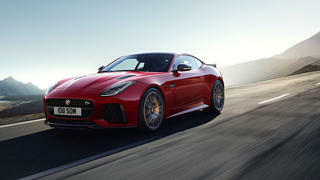 Jaguar released a new four cylinder version of its F-Type Coupe in April 2017 and, with a starting price of £49,900, it offers supercar performance without the super price tag of some of its competitors. The model features a new two litre Ingenium engine - the most powerful four-cylinder the marque has ever offered - and the results are a high-spec output of 296bhp, 0-60mph in 5.4 seconds and a top speed of 155mph. Other tweaks from previous versions include a 52kg weight reduction and a slight shift in weight distribution so the F-Type now has a perfect 50/50 balance over front and back axles meaning quicker response times at lower speeds. The new model also features an active exhaust as standard which should fix the engine note flaw perceived by many as the main failing of its predecessors. 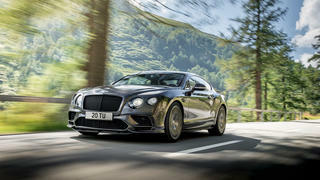 If your heart is after speed but your head says space is what you really need, Bentley's Continental Supersports is the new supercar for you. 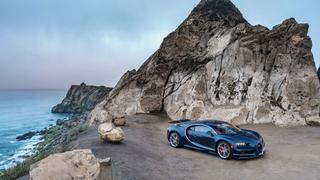 Billed as the fastest four-seat car in the world, the Supersports can go from 0-60mph in 3.4 seconds and boasts 700bhp. Available in both coupe and convertible configurations, the Supersports has a top speed of 209mph but doesn't sacrifice any of the luxury you would expect of this historic marque. Athletic exterior curves and an interior boasting a sporty black, white and red colour scheme with quilted leather seats and high-tech gadgetry make this a thoroughly modern supercar that looks as good at high speed as it does on a leisurely coastal cruise. Order yours for £233,800. While not the newest Bugatti (this honour goes to 2018's Divo), the Chiron is still the most exciting models in Bugatti's stable. The Chiron hit roads worldwide in early 2017 replacing the ever-popular Veyron which was phased out after a decade-long run in 2015. With a top speed of almost 300mph, the Chiron boasts a newly developed W16 engine which promises a 25% increase in performance, and each one can be customised to the owner's desires with virtually no limitations. While it may sport a base price at of €2.5 million, if the appreciating value of its predecessor is anything to go by the Chiron, could be a savvy investment. Those looking for real investment potential, however, may be tempted by February 2019's Chiron Sport '110 ans Bugatti' edition which will offer just 20 pieces to mark Bugatti's 110th anniversary.